For nearly two decades John Henry Homes has been delivering exceptional semi-custom homes throughout Greater Cincinnati. John Henry Homes was founded by second generation builders Jon (JOHN) and H Joshua Blatt (HENRY) with a vision of offering quality homes, flexible designs and superior service. 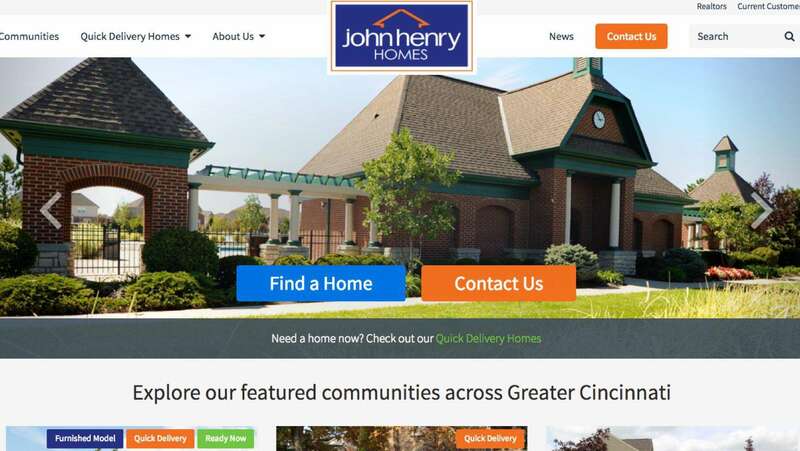 Today, John Henry Homes is the premier midsized builder in Greater Cincinnati/Northern Kentucky area, ranked yearly as one of the largest Tri-State home builders by the Business Courier. Advanced search filters allow guests to easily locate homes that meet their criteria. Use of icons help potential buyers quickly see features of each home. Strong calls to action throughout the site ensure the user can get in touch with an agent no matter which page they are visiting.